My current work at the Hawaii Community Development Authority has me thinking a lot about affordable housing. 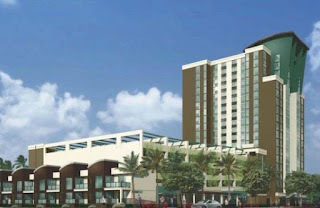 Halekauwila Place, an affordable rental project in Kakaʻako. While 34 percent of units built in Kakaʻako since 1987 were built as reserved, workforce, or low income housing, there is still great demand in all income categories. This problem is not new in Hawaii, and various policies, programs, and initiatives have been proposed by the various counties and the state to address the issue. However, the solution is elusive. Joe Cortright, The end of the housing supply debate (maybe), City Observatory, Aug. 11, 2017, at http://cityobservatory.org/the-end-of-the-housing-supply-debate-maybe/. Dan Bertolet, Cruel Musical Chairs (Or Why Is Rent So High? ), Sightline Institute, Oct. 31, 2017, at http://www.sightline.org/2017/10/31/video-cruel-musical-chairs-why-is-rent-so-high/. Cortright’s piece explores the rhetoric of the affordable housing debate. The rhetoric has Balkanized stakeholders into unbending pluralities; however, there is little data to support any one side of the issue. Bertolet’s piece is a creative illustration of the “more supply will solve the problem” philosophy, which challenges the “you can’t build your way out of the problem” philosophy. Both lack solid data to support either conclusion, but both sound reasonable. Would a trusted, independent think-tank in Hawaii help? It would collect, model, and interpret housing data; propose policies, tools, and programs; and get us closer to the objective we all can agree on: Housing choices for everyone in every income group.